Releasing a new project right around the birth of his newborn child, it’s safe to say that the past few months have been a whirlwind for legendary underground producer, nedard. 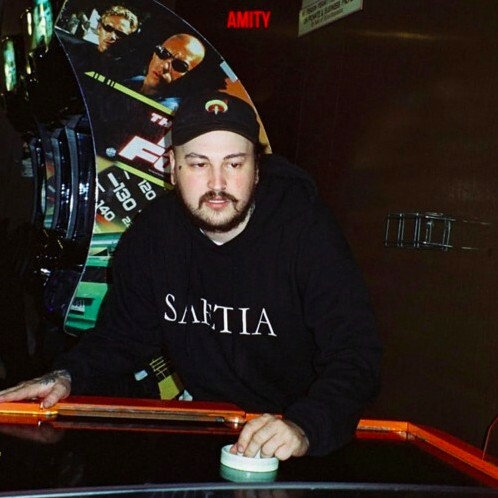 Over the years, his comprehensive resume as a respected producer has earned him the status as somewhat of a visionary when it comes to bringing out the best in the artists he works with, and today, this could be no better exemplified than in nedarb’s latest undertaking: his brand new album entitled AMITY. Oh, and before we go on, it should be made clear that even if you haven’t been a big fan of nedarb in the past, this is the kind of project with something for everyone. So be sure to give AMITY a chance and I’m sure you’ll be more than impressed with what you hear. That said, with a title defined by Google simply as “a friendly relationship”, this project represents the connectivity and chemistry that nedarb has created throughout the flourishing underground scene by way of his production prowess. Each song brings together a dream-team cast of characters, and with the countless number of features on this one, it becomes clear that nedarb did everything in his power to make the best project he possibly could while promoting as much talent as possible in light of cohesivity. AMITY is a community of an album and a damn good one at that, so rather than talking about its appeal all day long, I’ll let the utter strength of the music on here speak for itself. Stream AMITY below and be sure to keep an eye out for the all of the listed features that this album includes!